Enjoy the full single zone audio experience with Sonos Amp & Three Pairs of Sonos By Sonance Architectural In-Ceiling Speakers. 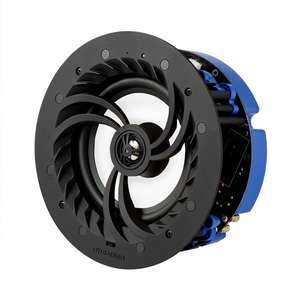 EXCLUSIVE: Free Premium Speaker Hoods & Free Speaker Cable! 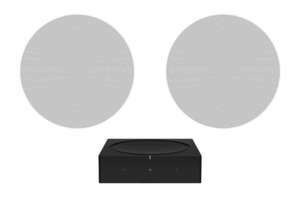 Maximise the incredible power of the Sonos Amp with the specifically designed Sonos by Sonance In-Ceiling Speakers for a true Sonos audio experience. 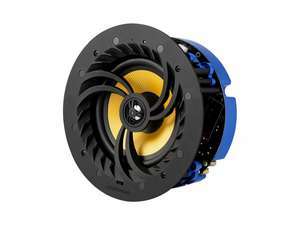 Exclusively bundled here at BuyCleverStuff, everything you need is here in one package for large sized rooms to give high quality, high-fidelity sound in your home. 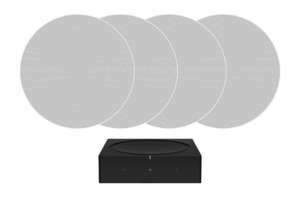 This three-pair bundle package is designed for large rooms that need wide coverage, and are the truest ceiling speakers to pair with the Sonos Amp. 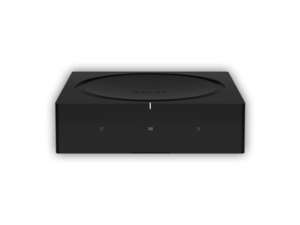 Your Sonos by Sonance In-Ceiling Speakers are fitted with ease into your ceiling and connected with using specific speaker cable wire that is of 16 ga or larger - thankfully, in this package, at BuyCleverStuff we're including this for you free of charge! Not only that, we're also giving you a pair of suitable premium speaker hoods to reduce sound leakage to rooms above. As they are also fire-rated, meaning they are perfect for installing and maintain fire safety regulations in the United Kingdom.